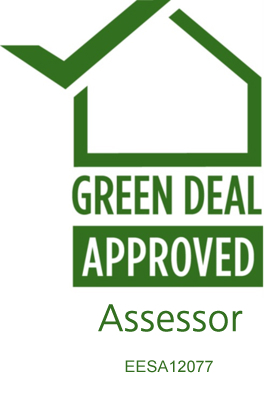 Looking for an Energy Assessment? 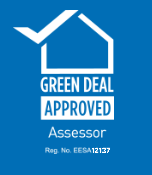 You will need an Energy Performance Certificate (EPC) before you consider undertaking any significant energy efficiency measures or if you are considering selling or letting a property. If you don't have one, you will need to complete the booking form below. The Domestic Renewable Heat Incentive (RHI) is a government financial incentive to encourage a switch to renewable heating systems. If you join and comply with the scheme rules, you’ll receive quarterly payments for seven years. It’s a way to help the UK reduce its carbon emissions. Have an Energy Performance Certificate that is less than 2 years old and you must install loft and cavity wall insulation if it’s recommended in the EPC. If your home was built before 1920, it’s likely that the external walls are solid rather than cavity walls. Many other property types such as mid-rise or high-rise blocks of flats are often solid wall construction. Unfortunately, solid walls let through twice as much heat as cavity walls - but there is a solution. Solid walls can be insulated from the inside or outside and although it's a relatively expensive energy efficiency measure to install, the savings on bills can be dramatic, especially if coupled with other measures such as loft insulation and solar power. Remember - the better insulated your home, the less money you will need to spend on heating it. Depending on the type of property, you can opt for either internal or external wall insulation. For properties with attractive brickwork and period features, then internal wall insulation might be the best solution. This is done by fitting rigid insulation boards to the internal wall. For other structures, external wall insulation is a solution which involves fixing a layer of insulation material to the wall, then covering it with a special type of render or cladding. The finish can be smooth, textured, painted, tiled, panelled, pebble-dashed, or finished with brick slips. For more information, talk to one of our expert advisors on 01296 311898 or email us. *Source: Energy Saving Trust, 2015. Savings are based on insulating a detached gas heated home, and will vary according to the size of the property and number of occupants. If your home was built after 1920, it is likely that the property has cavity walls. This means the outside walls are made up of two layers with a cavity in between. Cavity wall insulation fills that gap and keeps warmth from escaping. The result is that less energy is needed to heat your home and the insulation can also help to reduce condensation inside the home. Advances in material science and production means there are even easier and more cost effective solutions for insulating cavity walls, reducing heat loss by up to a third and potentially saving up to £250 a year on your energy bills*. The installation process is relatively simple and takes around 4 hours to complete with minimum impact on residents. After a successful survey, qualified technicians will pump high quality glass or mineral fibre into the cavity between the external walls. 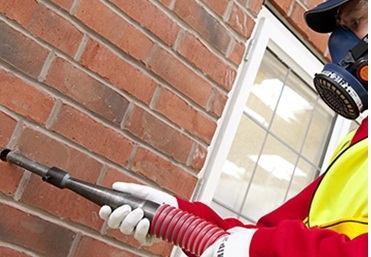 Any property receiving cavity wall insulation from a qualified technician will qualify for a government backed 25 year CIGA (Cavity Insulation Guarantee Agency) guarantee. Around a third of all heat lost in an un-insulated home is lost through the walls and for millions of homes around the UK, solid walls or non-traditional building techniques mean that cavity wall insulation is simply not possible. The standard practice for insulating a hard-to-treat cavity is to drill holes in the outer leaf of brickwork and inject insulation material into the wall cavity. Essentially, holes are drilled in a specific pattern and insulation material (usually glass or mineral fibre or polystyrene beads) is injected in a staged process to ensure the whole cavity is filled from the bottom to the top and a mortar is used to fill the holes in the external brickwork to complete the job. 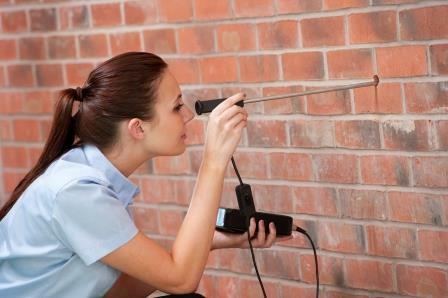 Qualified surveyors will determine the best approach to insulate the cavity wall. They will then design a plan to meet your needs and install the insulation by causing the least disruption to you. AgilityEco can help with any part of the process, whether you need advice to see if your housing stock qualifies; assistance to develop and deliver a project or support to access grants or funding. Bierce can provide a range of energy assessments for your housing stock.